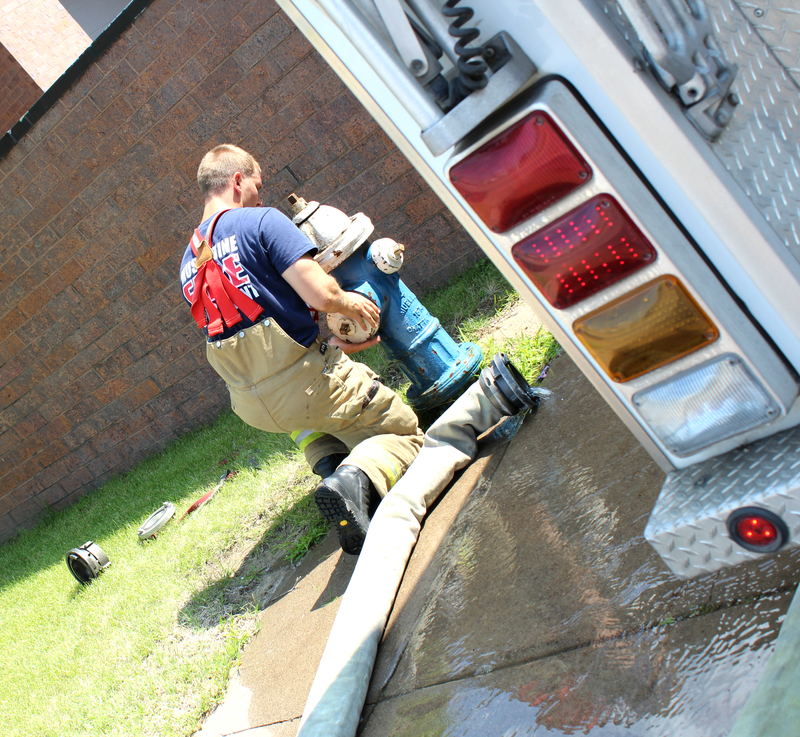 From fighting fires, to educating citizens on fire safety, to providing EMS services to Muscatine and some surrounding areas, the Muscatine Fire Department keeps a full schedule. Something people in Muscatine might not know is that the fire fighters work 24 hour shifts, 365 days a year. They work holidays. 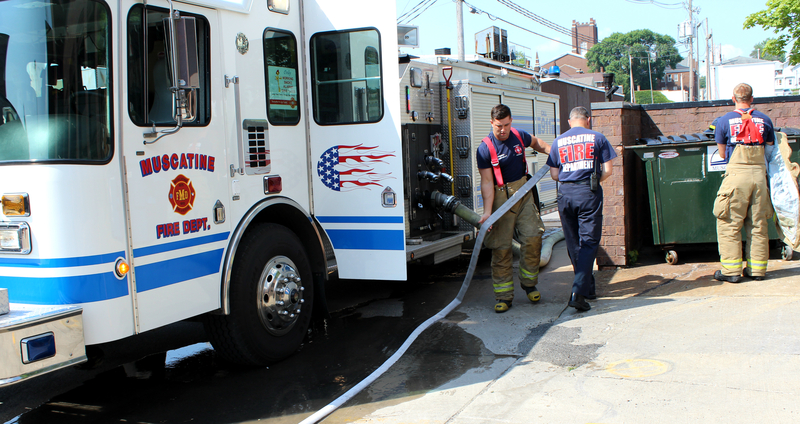 They have three shift groups with a scheduled rotation, so there is always a shift of fire fighters working. Chief Ewers explained that during June, July and August of this year, the Fire Department is focusing on training every day. “We want to go back to the fundamentals,” Ewers said. 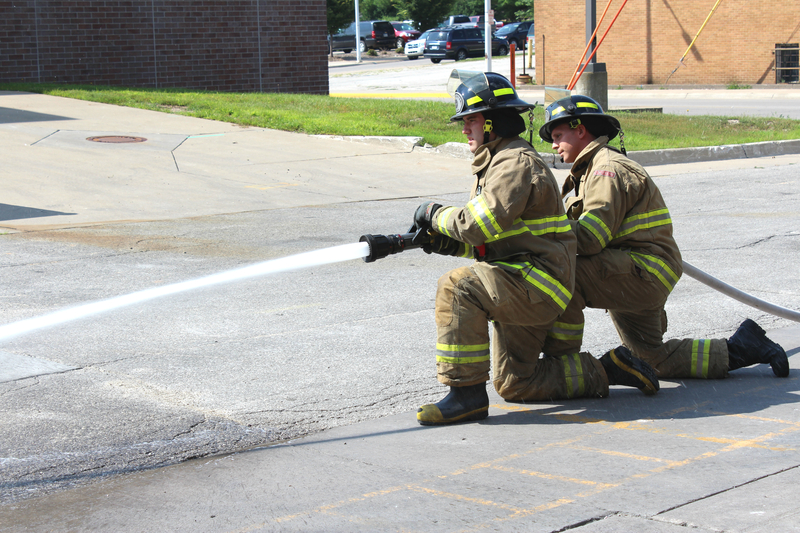 With a wide array of experience levels represented in the Muscatine Fire Department, Chief Ewers saw the benefit of promoting training as a way to get everyone up to speed. While on my tour of the Department, I was able to view the hallway of the Fire Station that highlights the history of the department. It was interesting to see photos from the past as well as view the wooden name plates of fire fighters who joined the Department each year. The name plates are set up as a timeline with years going from left to right with each fire fighter’s name who was hired in that year under the year’s plate. The visual representation of when each fire fighter was hired was neat to see. I was also fortunate to tour the living quarters where fire fighters eat, sleep, cook and spend downtime. I enjoyed the behind the scenes look at what goes on in the Fire Department. 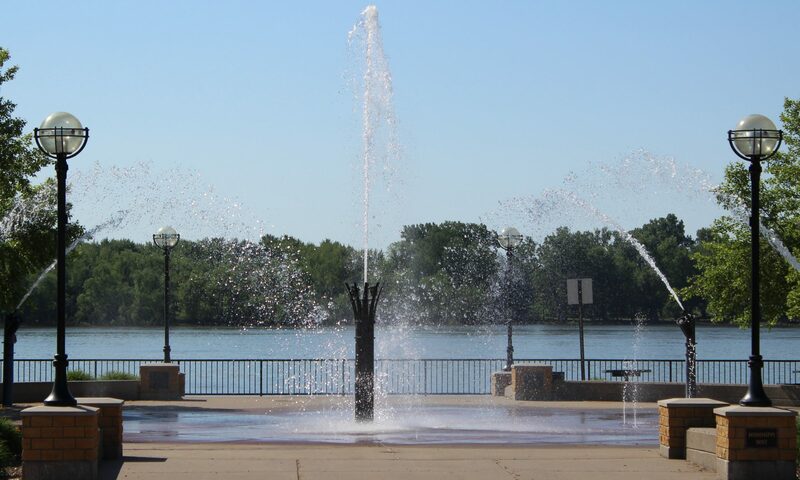 Of course, it was exciting to see the iconic fire poles as well as view the fire trucks and EMS equipment. After touring the Public Safety Building, I had the chance to visit the Southend fire station. This station was new in 2012 and has a lot of fantastic features. I was impressed with the design and the functionality of the building. I had a great time getting to know the Muscatine Fire Department and I look forward to sharing more Fire Department stories with you in the future!